Many people find themselves eating late at night, even when they aren’t hungry. Nighttime eating can cause you to eat more calories than you need and lead to weight gain. 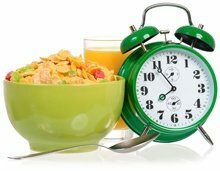 Here are 10 things you can do to stop eating late in the evening or at night. Some people eat most of their food late in the evening or during the night. To change this habit, you need to identify the cause of the problem. Nighttime eating may be the result of overly restricted daytime food intake, leading to ravenous hunger at night. It may also be caused by habit or boredom. However, nighttime eating has also been linked to some eating disorders, including binge eating disorder and night eating syndrome (1, 2, 3). These two disorders are characterized by different eating patterns and behaviors, but can have the same negative effects on your health (4, 5). In both, people use food to curb emotions such as sadness, anger or frustration, and they often eat even when they are not hungry. 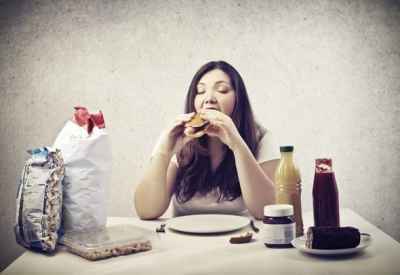 Binge eaters also tend to eat very large amounts of food in one sitting and feel out of control while they are eating (6). On the other hand, people with nighttime eating syndrome tend to graze throughout the evening and wake up during the night to eat, consuming more than 25% of their daily calories at night (7, 8). Both conditions have been linked to obesity, depression and trouble sleeping. As well as identifying the overall cause of your overeating, you may find it useful to look for a specific pattern of events that usually sets off your eating behavior. People reach for food for many reasons. If you’re not hungry but nonetheless find yourself eating at night, think about what led up to it. Often you will find you are using food to meet a need that isn’t hunger. With nighttime eating syndrome, your entire eating pattern may be delayed due to your lack of daytime hunger (9, 10, 11). One effective way to identify the cause of your nighttime eating and the things that trigger it is to keep a “food and mood” diary (12, 13). Tracking your eating and exercise habits alongside your feelings will help you identify patterns, enabling you to work on breaking any negative cycles of behavior. Bottom Line: Monitoring your behavior patterns and identifying what triggers you to eat at night will help you break cycles of emotional eating. If you’re overeating because you aren’t eating enough during the day, then getting yourself into a routine can help. Structured eating and sleeping times will help you spread your food intake over the day so that you’re less hungry at night. Getting good sleep is very important when it comes to managing your food intake and weight. Lack of sleep and short sleep duration have been linked to higher calorie intakes and poor-quality diets. Over a long period of time, poor sleep can increase your risk of obesity and related diseases (14). Having set times for eating and sleeping can help you separate the two activities, especially if you are prone to waking in the night to eat. Bottom Line: Having a routine for meal and sleep times can help you break unhealthy cycles of behavior. This can help if you have no appetite during the day or tend to binge at night. As part of your routine, you may also benefit from using a meal plan. Planning your meals and eating healthy snacks can reduce the chances that you will eat on impulse and make poor food choices (15, 16). Having a meal plan can also reduce any anxiety about how much you are eating and help you spread your food throughout the day, keeping hunger at bay. Bottom Line: Planning your meals and snacks can help manage your food intake and stave off hunger. If you think you may have nighttime eating syndrome or binge eating disorder, then you may want to seek professional help. A professional can help you identify your triggers and implement a treatment plan. These plans often use cognitive behavioral therapy(CBT), which has been shown to help with many eating disorders (17, 18, 19, 20, 21). Creating an emotional support network will also help you find ways to manage negative emotions, which otherwise might lead you to the fridge (22). 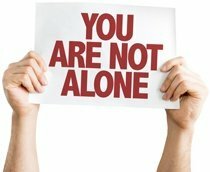 Bottom Line: For some people with eating disorders, seeking professional help and support can be key to overcoming problematic eating at night. Anxiety and stress are two of the most common reasons why people eat when they aren’t hungry. However, using food to curb your emotions is a bad idea. If you notice that you eat when you are anxious or stressed, try to find another way to let go of negative emotions and relax. Research has shown that relaxation techniques can help manage eating disorders such as nighttime eating syndrome and binge eating (23, 24, 25). Relaxation techniques you may find useful include breathing exercises, meditation, hot baths, yoga, gentle exercise or stretching. Bottom Line: Instead of eating, try to deal with stress and anxiety using relaxation techniques, gentle exercise or stretching. 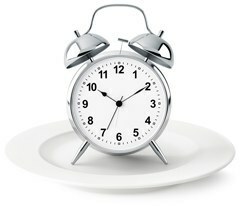 Overeating at night has been linked to erratic eating patterns that can often be categorized as disordered eating (26). Eating at planned intervals throughout the day in line with “normal” eating patterns can help keep your blood sugar stable. It can also help prevent feelings of ravenous hunger, tiredness, irritability or a perceived lack of food, which can lead to a binge (27). When you get really hungry, you are more likely to make poor food choices and reach for high-fat, high-sugar junk foods (28, 29). Studies find that those with regular meal times (eating 3 or more times per day), have better appetite control and lower weight (30, 31). Generally speaking, eating less than 3 times per day is thought to reduce your ability to control your appetite and food choices (32, 33). However, it’s important to note that results in this area have been mixed. The best eating frequency for controlling hunger and the amount of food consumed is likely to vary among people (34, 35). Bottom Line: Eating regular meals will prevent you from getting too hungry and will help you manage your cravings and food impulses. Different foods can have different effects on your appetite. If you eat due to hunger, including protein at every meal may help curb your hunger. It could also help you feel more satisfied throughout the day, stop you from being preoccupied with food and help prevent snacking at night (36). One study found that eating frequent high-protein meals reduced cravings by 60% and cut the desire to eat at night by half (37). Bottom Line: Protein is known to keep you fuller for longer. Including protein at every meal can reduce cravings and nighttime eating. If you are prone to eating high-fat, high-sugar junk food at night, remove it from your house. 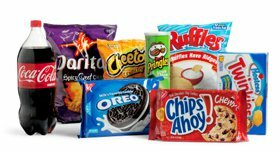 If unhealthy snacks aren’t within easy reach, you are much less likely to eat them. Instead, fill your house with healthy food that you enjoy. Then when you have the urge to eat, you won’t snack on junk. Good snack-friendly foods to have available if you get hungry include fruits, berries, plain yogurt and cottage cheese. These are very filling and probably won’t cause you to overeat in the case that you do end up becoming ravenously hungry in the evening. Bottom Line: Take any unhealthy junk food out of the house. Doing so will stop you from snacking on it throughout the night. If you are preoccupied with thoughts of food because you’re bored, then find something else you enjoy doing in the evening. This will help keep your mind occupied. Finding a new hobby or planning evening activities can help prevent mindless late-night snacking. Bottom Line: If you are eating out of boredom, then try finding something else you enjoy doing in the evening to keep your mind occupied. Nighttime eating has been linked to excess calorie intake, obesity and poor health. If eating at night is a problem for you, then try the steps above to help you stop.